Browsing articles tagged with " Solar Energy"
Travelling is fun and relaxing, as it will take you away from the busy and tiring life you have in the city. Despite of it being a luxury activity to do, traveling or cruising can also be beneficial to the environment at we cruise on the beaches of our choice. 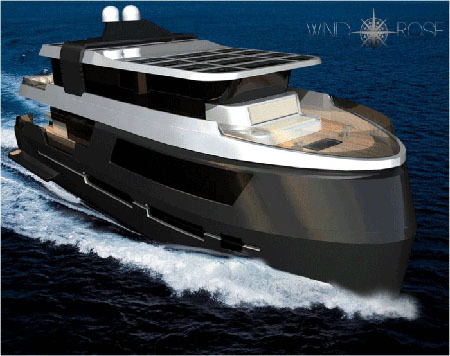 The Yacht Wind Rose by Kaisha Davierwalla is an Eco-yacht featuring a tool that collects solar energy, the solar panels that made up the rood of this stylish Eco-yacht. Other than that, the Yacth Wind Rose is also built with robust body to make it able to withstand on all kind of weather. With the numerous sustainable products available in the market today, people should have no excuse in keeping the environment safe. Recycling have been introduced, we have the hybrid cars, solar powered items and more. The Virtue Blue Chandelier is another addition. 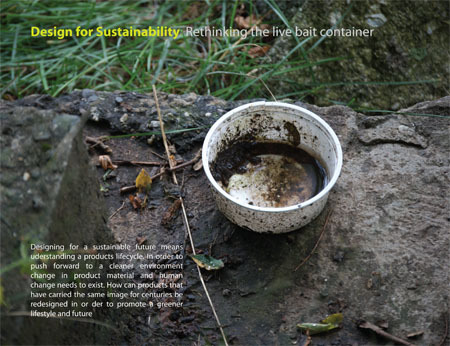 It is very heartwarming to see various sustainable designs created by designers just to do their part in saving the environment. what is sad is the people that opt to not care. 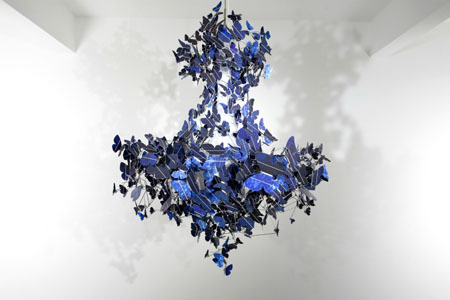 The Virtue Blue Chandelier is sustainable lighting system with four butterfly beads fluttering around the center part of the lamp. 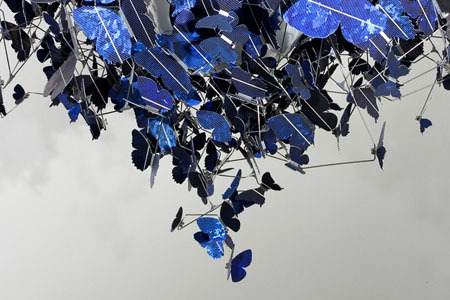 Made of calcium solar cells, and with the solar energy collecting butterflies that powers this elegant chandelier, the Virtue Blue is good enough to be hailed as a sustainable product. Outdoor lounging is fun and lounging in an eco-friendly fashion is even more fun. 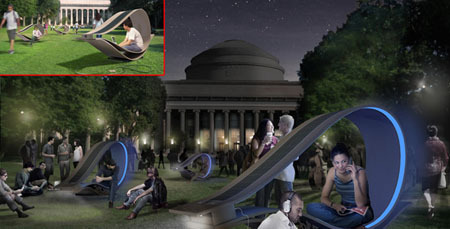 The MIT Soft Rockers is an outdoor lounging solution at first glance. However, this one of a kind rocker will not only allow you to lounge but also will let you recharge yourself and your electronic gadget with clean energy. The rocker collects solar energy at daytime through its solar tracking system of 1.5 axis 35 watt and stores the collected energy in a 12 ampere-hour battery. The rocker is stylish enough o be part of your landscape, as it has the leaf like shape with some catchy illumination. 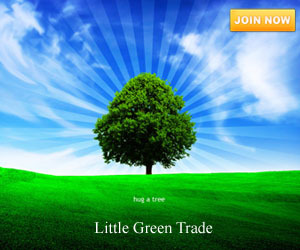 Making use of our natural resources is the renowned best way to help save the environment. 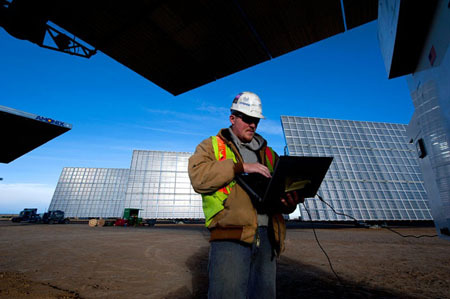 It reduces carbon emission if we opt to use solar energy, wind energy and the like. It also reduces the growth of landfills if chose to recycle things. 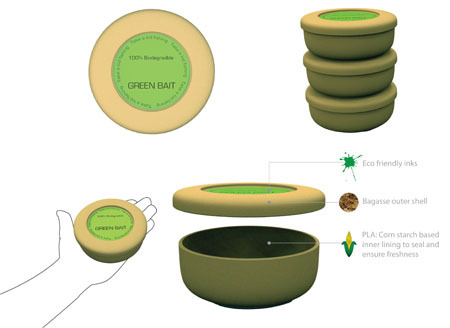 The Eco-friendly vessel is a sustainably designed vessel that makes use the sugar cane residue or bagasse. The product has numerous green effect to the environment, as the bagasse is the cleaner substitute to plastic and Styrofoam. In addition, it is renewable and fully biodegradable. With this product, sugar cane residue will no longer be destined to our landfills, but rather are used for a better purpose. 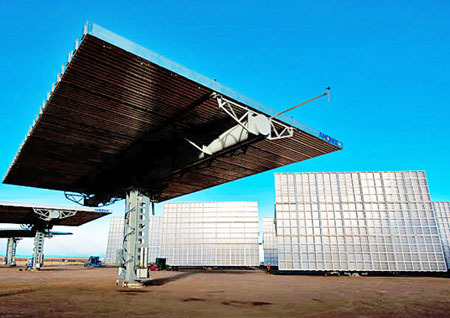 We all know that solar panels is a great way to save huge amount of money for our energy use because of its ability to produce electricity after collecting solar energy. The new solar panel form NREL will definitely roll your eyes as it doubles the energy it can produce while cutting down the cost into half. With the help of the concentrated photovoltaic or CPV generator, the Amonix is definitely the most sustainable solar panel at the very moment. If people will never get tired of developing eco-friendly and sustainable product, saving the environment will be as easy as a snap. Known to be a country of oil and energy, the United Arab Emirates had started to take its part in caring for the environment. 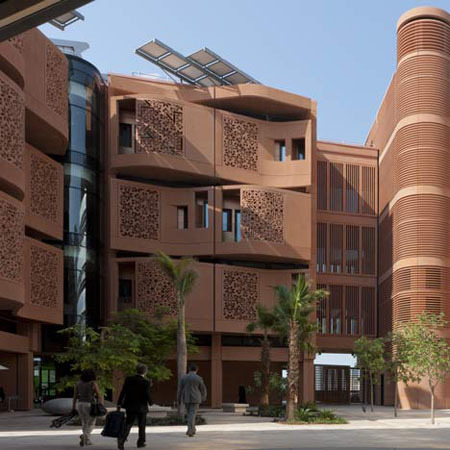 In one of its modernized city, Masdar City in Abu Dhabi, an eco-structure called the Masdar Institure Campus has been built by Foster + Partners. Powered entirely by solar power, the structure has the ability to produce solar energy than it consumes, thus can distirubute the excess energy produced to its neighborhood, which is very beneficial not only to the community within the vicinity but to the environment as well. In addition, the building was initially billed as the first zero carbon, zero waste city in the world in 2007. Candlelight dinner date is one of the most favorite treats by many of the couples worldwide. 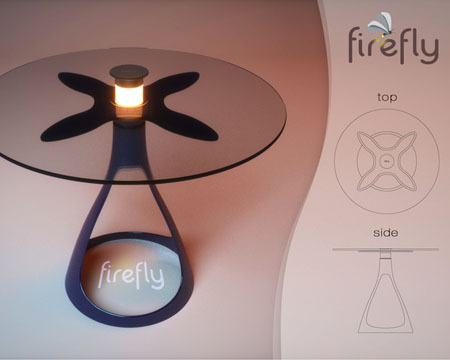 Inspired by the insect firefly, the Firefly table is a unique table designed for business and home use. 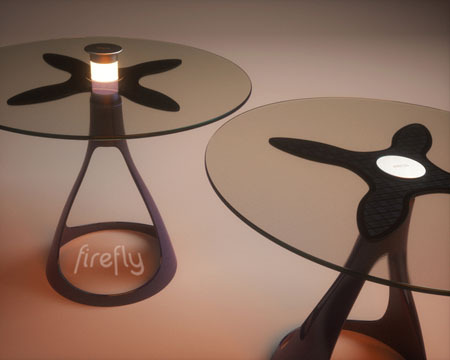 The table has the solar powered lamp installed at the center of the table. At daytime, the table’s solar cells placed underneath its glass tabletop are made responsible of collecting sunlight to transform it into solar energy that powers up the lamp at night. Every time there is a need for a lamp, users will just simply press the center part of the table to pop-up the lamp. Very stylish, elegant, and eco-friendly concept. Cruising is always a great way of spending some time to relax and unwind. We all know that cruising has a huge expense attached to it particularly the energy usage of the yacht or cruise line, which is obvious not that favorable with nature. 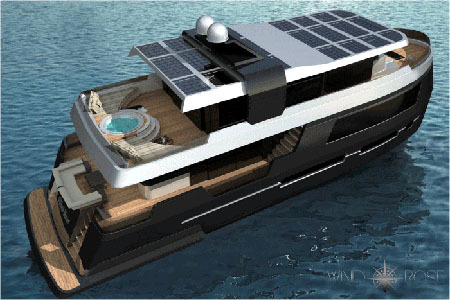 Today, designer Heather Witkop has created the Aliz, a luxury yacht that has solar panels installed to collect solar energy for the yacht’s electricity needs. 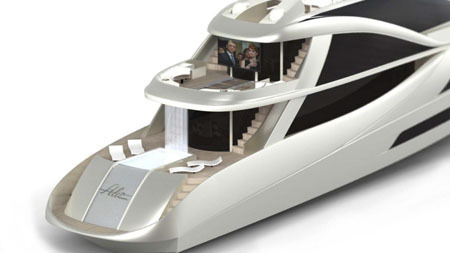 Aliz is a 145 feet luxury yacht that has the ability to accommodate 12 guests in total. 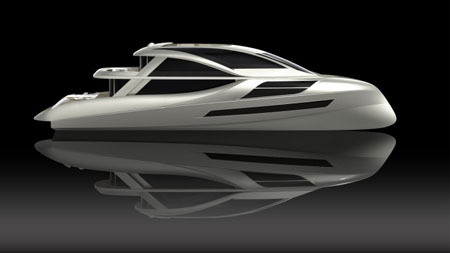 The Aliz eco-luxury yacht has the features and equipment that every cruiser will surely love and enjoy while they travel. Prohibit the sun from going down on you and use the solar umbrella. It has 24 LED lights that give a sunny glow even when the sun is not shining. It needs no additional wiring to recharge. Even on its different function, the solar umbrella still looks very fashionable and lovely on any patio, backyard, beaches or bistro. One of the best solar umbrellas ever is the Apsara Solar umbrella. Though it looks like a normal teak frame umbrella, Apsara has the cloth canopy that gathers the solar energy while it was being used under the heat of the sun. Plus it is ultra portable that can be used anywhere anytime of the day. I guess Sanrio Empire awareness of green earth it’s a little bit late, but than again, better late than never. Hello Kitty is trying to take its technology into environmentally friendly by taking control of solar energy. Below is the picture of Hello Kitty Solar-Power Charger, you can use it for phone, media player, camera. During the dark clouds, well, you can still plug the charger into a DC outlet for up to 6 hours of power on the go.